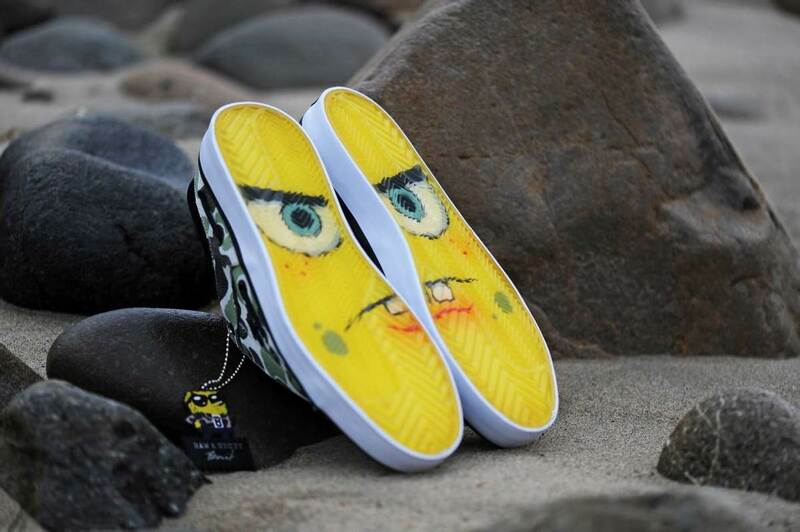 BAIT and Creative Recreation join forces to bring the unseen world of SpongeBob SquarePants to life in a four-shoe collection. 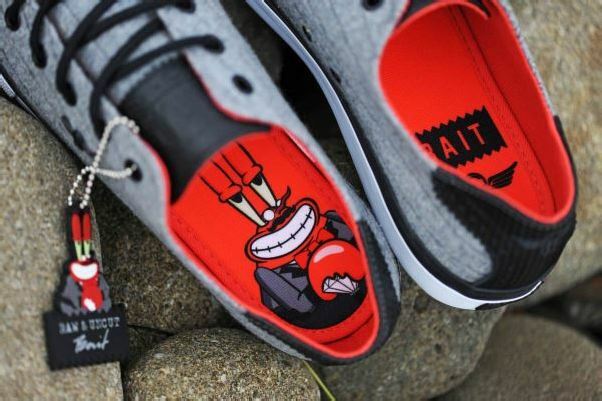 Each pair blends the off-stage, high profile personalities of SpongeBob, Patrick, Squidward, and Mr. Krabs with BAIT’s signature streetwear edge and Creative Recreation’s timeless lifestyle designs. 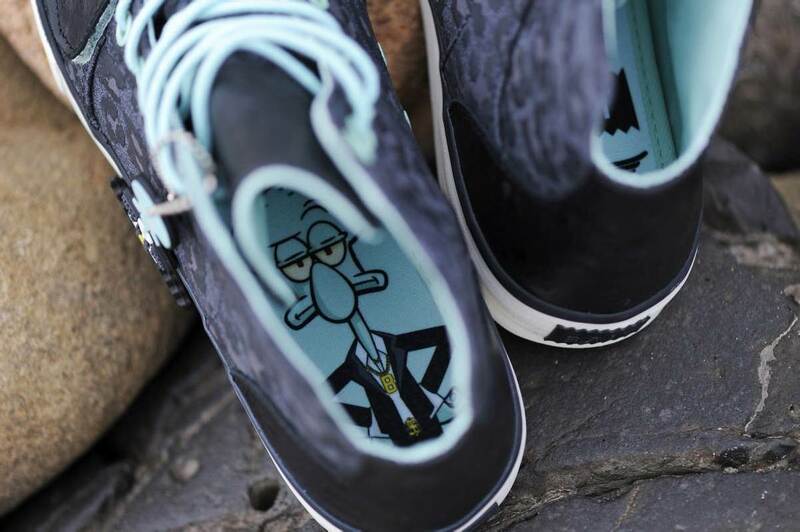 Each shoe utilizes a unique upper material inspired by one of the characters: SpongeBob’s boat shoe-inspired Luchese feature a jacquard BAIT camo; Patrick’s strapped Cesario Low XVI mix dimensional zebra-patterned navy leather with soft suede; Squidward’s mid-top Cesario XVI utilizes a tonal cheetah print; and Mr. Krab’s Kaplan V employs pinstripe suiting material. 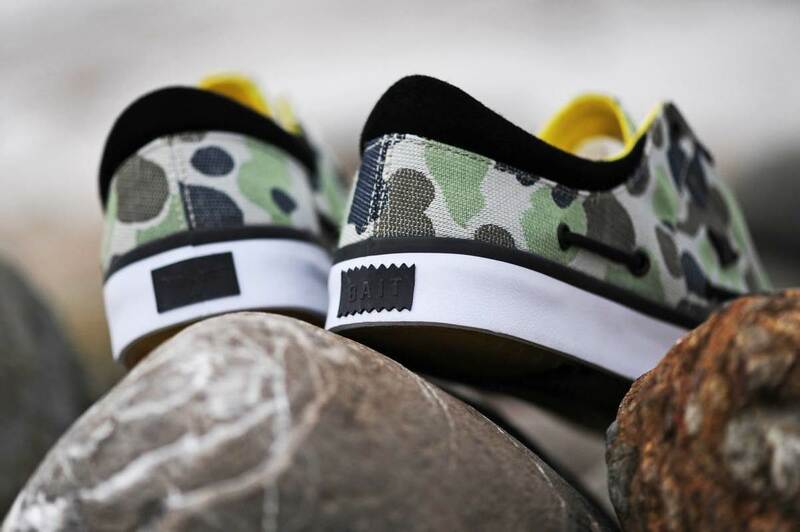 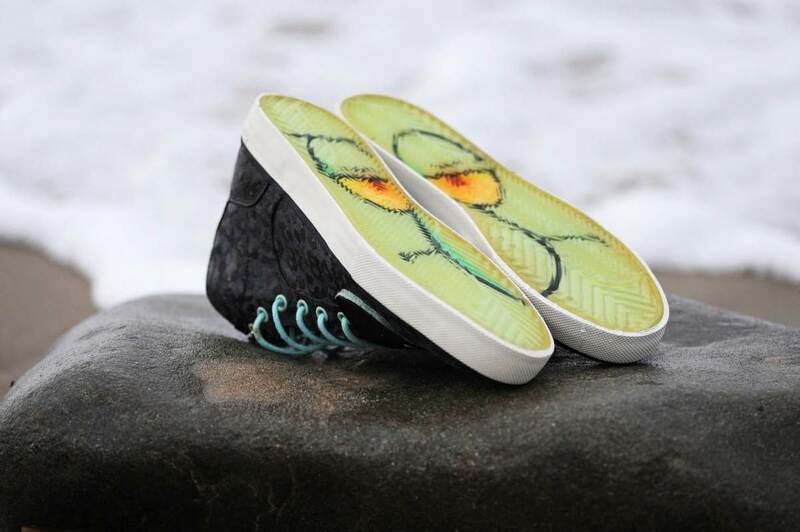 Each shoe also features their respective characters on the footbeds and visible through the ice rubber outsoles. 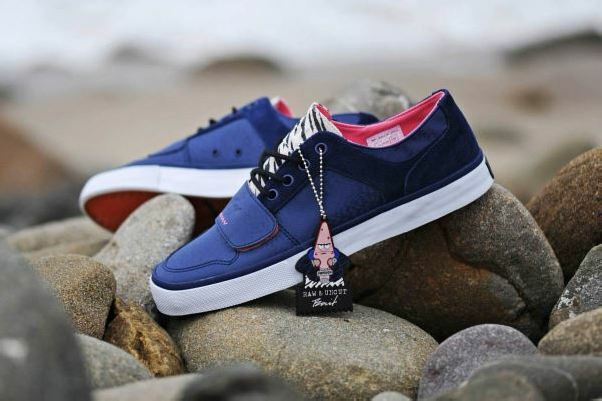 A rubber character keychain and alternate neon laces are included with every pair. 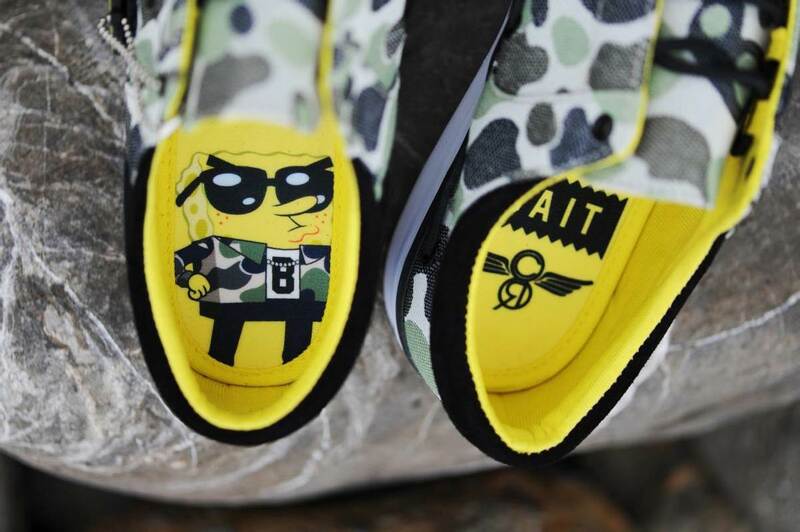 The shoes are housed in a special BAIT character box – which features cardboard arm and leg pieces that can be attached to form a 3D SpongeBob display. 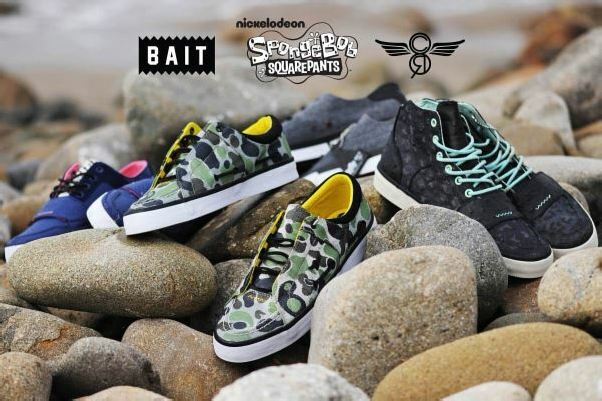 The collection is available now at BAIT and PYS.com at a retail price of $80 each. 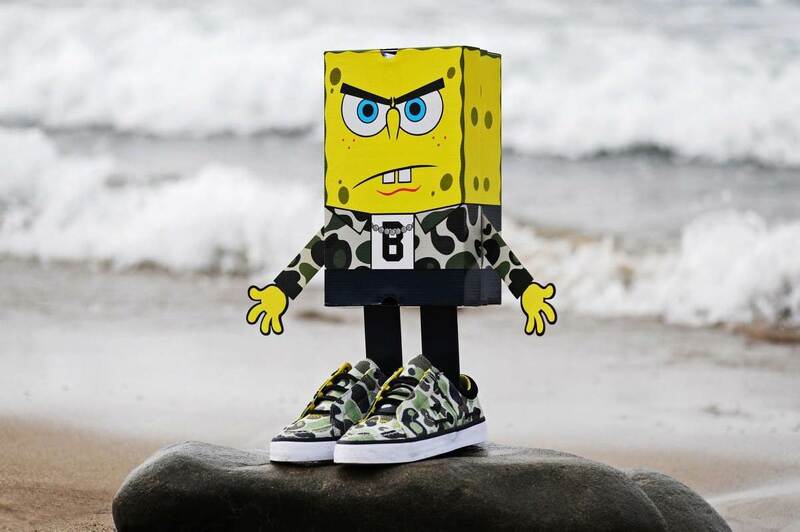 Check out the lookbook for the entire BAIT x SpongeBob Collection featuring model Jeri Lee rocking the tees, raglans, caps, and kicks! 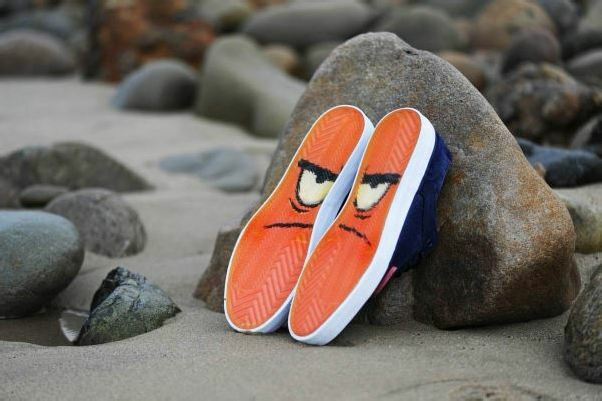 The collaboration will also be featured at BAIT’s San Diego Comic-Con International 2013 booths (#4845 and #4632) July 17-21.